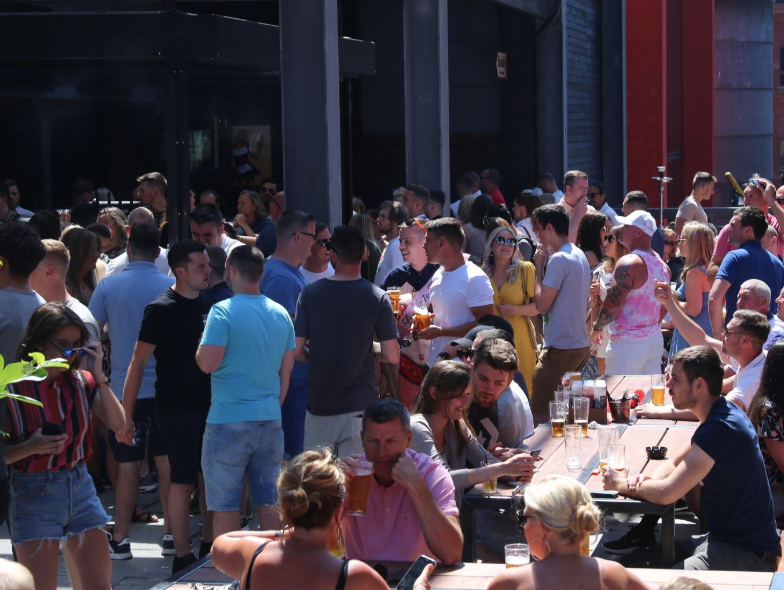 Make the most of sunny days whatever the season in these beautiful indoor and outdoor venues, terraces, beer gardens and suntraps in Merseyside, Cheshire and beyond…. Nestled at the top of the Chester County Stand, the first floor bar and Roof Terrace at 1539 Restaurant & Bar offers a unique setting for celebrations and events. The exclusive feel of the space will ensure a memorable event for all guests, and the impressive drinks list offers something for every palate. 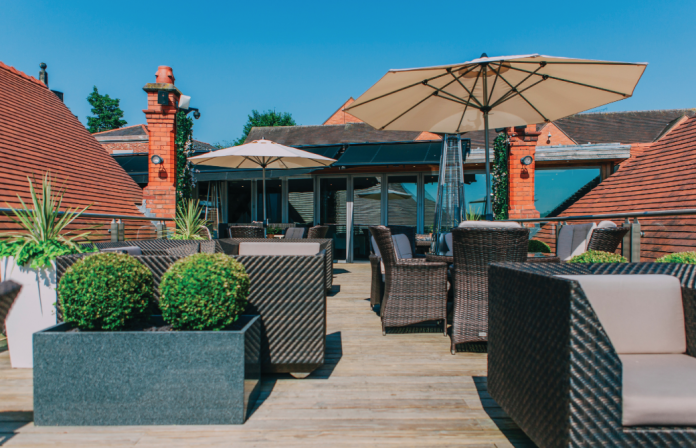 Named after the year racing first began in Chester, the restaurant boasts panoramic views of the historic Roodee and unforgettable sunsets, ideally enjoyed with a cold glass of fizz in hand. The space is split into three beautifully designed areas, each providing a unique advantage. The inside statement bar and chic interior opens out onto a picturesque terrace and covered roof top bar. They’ve thought of everything – the covered bar even has a retractable roof. The terrace benefits from TVs showing top quality sporting events throughout the year. The lower tables have fire pits, which are perfect for cosy Autumn evenings. Named after the year racing first began in Chester, 1539 Restaurant & Bar has this year celebrated a decade of delivering delicious food and top quality service. It is also available for hire for parties and events, and the team are experts at making every guest feel welcome. Don’t miss: Their impressive food menu offers twists on British classics alongside dishes inspired by flavours from across the globe. Both Bars serve classic cocktails, Champagne and Spaten on draft. Take a trip to the deep South without leaving Wirral – its good for the soul! 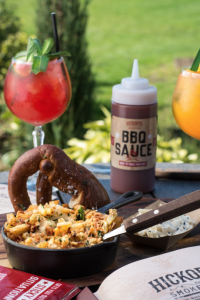 Everyone’s favourite smokehouse, Hickory’s has always been known for its family friendly vibe and tasty Southern food and this season the guys has taken their outside offering to a whole new level. The outdoor kids village has had a make-over with plenty of yard-games and even a table tennis zone to keep the VIK’s (Very Important Kids) entertained. There is a superb food offering for the little’uns. Designed by mums, there’s plenty of healthy stuff alongside a great selection of Southern style treats. The new glass viewing wall in the veranda means that grown-ups can enjoy a bit of chill-time whilst still being able to keep an eye on their brood! Don’t Miss: Cocktails on the terrace. This is still a great spot for some grown-up time and the ever changing range of cocktails is to die for. Grab a seat on the covered terrace and enjoy a tipple or two – whatever the weather. Find out more at hickorys.co.uk. Chester’s original (and arguably still the best) cocktail bar and bistro; this place has been serving up its unique mix of cool cocktails, superb food and weekend fun for over 18 years now. 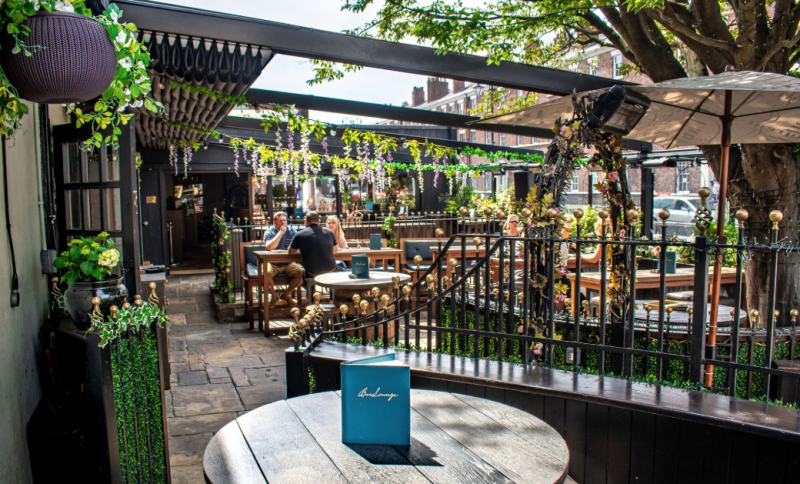 Grab a seat on the terrace – gloriously sunny on a good day and snuggly covered when it’s chilly – and indulge in a spot of people watching whilst sipping on something hand-shaken and superb. Always buzzy, day or night, Barlounge is the ultimate date-night location; the food, service and overall vibe here is quite simple exceptional and the super-attentive team make you feel like old friends from the minute you step inside. Don’t Miss: The all-new Small Plates Menu. A superb and ever changing selection of authentic, seasonal dishes from around the globe. Served fresh, when they are ready, they are great for grazing and even better to share. 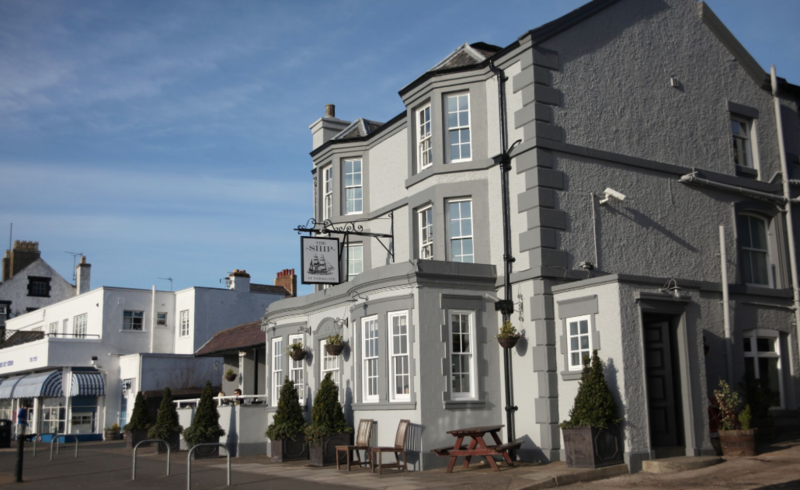 The first mention of The Ship in Parkgate dates back to the 1750s, and this traditional coaching inn with rooms is packed with history. Set in the quaint Wirral village of Parkgate, it’s as much a local’s local as it is a visitor’s retreat, offering the perfect afternoon stop, evening out or weekend escape. In the warmer months, its heated sun terrace becomes a popular rest for walkers, cyclists and hotel guests to enjoy a drink and stunning views over the Dee Estuary to the hills of North Wales. The bar offers an array of great local ales, wines and soft drinks. They also stock the usual and sometimes not so usual selection of whiskies, gins, rums and other tipples. The hearty homemade menu is bursting with British classics, with some creative seasonal specials. Our team of chefs use all fresh and where possible local produce to ensure quality and freshness in every dish, and hopefully give you a flavour of the local area. Don’t miss: Not that you would know from looking at it but the Ship has 25 en-suite guest rooms above and to the rear of the inn creating the perfect stay. Find out more at the-shiphotel.co.uk. Einstein Bier Haus is Liverpool’s newest day to night venue in Concert Square. Set over two floors with hearty food, great bier, sport and live music, it also has an outdoor terrace that’s perfect for al fresco drinks or sampling their hearty menu of German inspired favourites. Don’t miss: With 18 beers on tap, it’s perfect for group and party bookings as well as being available for semi or full venue hire, with packages tailored specially to suit the needs of your group. Find out more at www.einsteinbierhaus.co.uk.